Hello fellow nias! The time draws closer to discuss what PHM has in store for Steam and our upcoming structural changes. As most know PHM is hybrid capitalist and communist setup. Bears. More specifically internal guys who are self motivated to setup buy and sell orders internally to the market. Miners/Harvesters. Too supply alpha side producers. Team Leaders: These are the guys making it happen on the ground. Special incentives for these guys. PVPers: Dedicated/contributing to the corp pvpers will be provided by solely by the corp. 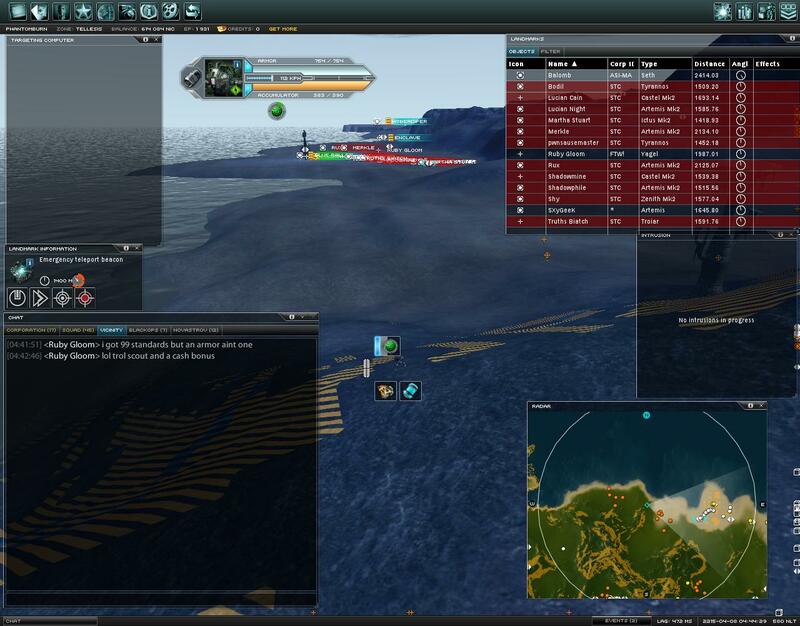 Your bots in fleet engagements will be replaced if lost. Your farming bots will be provided by the corp.
Miners/Harvesters: Corp updates on what's needed to keep the gears of war turning will be provided on a weekly basis. Quotas will be set to accommodate corp production. Once quotas are met your free to engage in free market capitalism. The quotas will be small in nature and will be very easily met. The natural progression of order will be Invite to corp ->Stay alpha side. Either bear OR (when asked) engage in fleet battles, roams, offensive tactical deployments or seiges. If after getting your feet wet in pvp you find this is the style than advancement to Beta/Gamma sector is permissible. If not alpha side events will remain your thing. Some of you might wonder, why would I want to give to the corp quota materials, why not just do it myself and earn the Nic and buy my own gear? Its very simple. Five people working towards one goal is faster then five people working towards five different goals. You'll pvp in ease. Worried when a FC tells you to push that you'll lose your mesmer mk2 T4 fit? Not when your contributing. That Mesmer MK2 will be one of many sitting in a folder waiting on you to unstack and grab a new one with fittings. Want to dominate the world through Nic? Nonquota items will be ripe for the picking from Gamma and Beta. Logistics. The corp will handle all this. You just show up and pew pew. Furthermore: All players will have access to the finished corp research tree. Training exercises for pvp, daily corp ops and veteran leadership abundant. We will welcome ALL new players. Good and reliable corporation! GL! Bump, ingame recruiting limited. Too busy looting Beta SAPs and cleaning up Gamma islands. Giving a warm and solid heart felt bump due to it not being the secound yet. I bet the whole thing is a Terrible Lie. It depends if you have a head like a hole. With recruits joining daily it is important to understand that we offer a STABLE play environment with the largest stocks of goods this side of Novastrov! We offer you Alpha | Beta | Gamma Ops! We do it all folks, large enough to keep you entertained but compassionate enough to offer one on one development. Come join us today! I saw what you did there. Gold like that shouldn't go unnoticed..
A picture is worth a thousand words so they say. Well I say no. The only words we can learn from this picture is fear. Fear to fight, fear to engage. What could have been a seemingly easy victory for the enemy fleet was polarized in fear and that my friends and potential recruits is what will happen if you choose to join the ranks of the enemy crowd. Fear, followed putrid slander. Slander derived from fear. They are losing this war, bit by burning bit and the coming onslaught is near. Don't live in fear comrades. Join us and live Victoriously! Live not in fear but in triumph of what this Alliance has to offer! Live with pride as you wear the colors of the most feared corp in the game. Be like one, be like the machine, be efficient, be elite, and most importantly BE FEARED COMRADES! LMAO! Great post Ville! We would have loved to have fought on that day, But sadly after giving you nearly TWO HOURS to rally your troops. We couldn't wait any longer for "The Biker Chicks" to engage. But alas, not even a chance at killing the fabled beast could awaken you from your drunken slumbers. Instead of jumping your fleet in to engage, you sent in an unarmed lithus transport bot to sit on the teleport and write incredibly long forum posts about the pvp that never was. Want to wait 2 hours in the hopes that your corp can scrounge up enough balls, I mean people to pvp? Want your CEO to spend his time drunk watching archer and making forum posts? Want a corporation that will not engage in pvp unless they have numerical AND bot size advantages? Then PHM may be the corp for you. But if you want to spend your time roaming islands with a great group of guys? Want a corporation that spends its time out looking for fights, instead of talking about ones that didn't happen? Want corporation leadership that will risk it all to get fun pvp action for his corp members? Are you joking? You guys have done nothing but avoid encounters since I came back. kill boards verify this. You know where we are, you know what saps to hit for a fight. If you want a corp that sits on the Alpha side of a terminal, and drops alot of teleporters, join STC. If you want a corp that will will roam Alpha islands, and teleport when they see 3 or more PHM guys togather, join STC. If you want a corp that thinks that letting a bunch of guys die so you can get 10 points off a sap, join STC. If you want to PVE, and then brag about how good you are at PVP, with out showwing it, then join STC. If you want a corp that will take the most newb player, and help the fit his/her bot, join PHM. If you want a corp that will take thier time to answer any question you have about extensions, join PHM. If you want a corp that will replace your PvP bot on officical corp/allaince funtions, join PHM. If you want a corp that will let you mine as you like, where you like, and have an internal market paying better then avg for your goods, then join PHM. If you want a corp where you can have access to a wonderful corp research, then join PHM. If you want a corp where you can be a carebear, or a carebear with teeth, then join PHM. We have a great group of guys on TeamSpeak. We tell jokes, we make fun of each other, some jokes are funny, some are weak, that is the nature of jokes. If you want to join a corp that will send out a spam on pm's to people that say PHM is a bad corp, then join STC. One lone STC cam with some HUN assitance and an incoming TOG squad not yet on island was enough to scare off 2 waspishes Mk2, 2 Castel Mk2, a Vagabond and an Artermis apparently. The sap wasn't completed, (not a big deal either way) and all attacking bots were able to escape via the armoured they were hugging. Propaganda is fun. Apparently its bad form to troll on someones elses recruitment threads. Well, so says the guys who are doing it. All I want to add is PHM are great enemies to have and are blessed with an abundance of creative talents. If this sounds like a good fit for you then you cannot go wrong with them. Cya all on the battlefield. June is coming, again, right? Edit: I really like your new recruiting slogan. "Join PHM, BE FEARED COMRADE, BE VERY AFEARED!" Cassius we ran out of Ammo lol. And you need to L2 math skills. Cassius we ran out of Ammo ***. Ville, I'm not gonna lie, but this made me lol for reals. Seriously we really did, lol. We were shooting heat IXs at the sap lol, oh... Good stuff. Advice for new players: Join a corp, any corp because experience in nia will be much better. If you are looking for a great corp that gives you the opportunity to experience pvp when you feel ready, I cannot stress enough that PHM will be an excellent option. We organise a lot of ops ranging from simple alpha mining to pvp roams around beta islands. Sound corp structure backed by vet experience, should be hard to turn down the offer. Join PHM. Alternatively, there's this nice space out back behind the woodshed.